The need for change as we get older--an emotional pressure for one phase of our lives to transition into another--is a human phenomenon, neither male nor female. There simply comes a time in our lives--not fundamentally different from the way puberty separates childhood from adulthood--when it's time for one part of ourselves to die and for something new to be born. 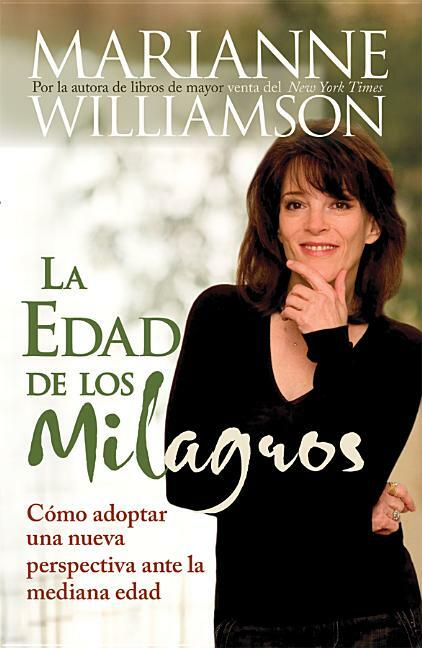 The purpose of this book by best-selling author and lecturer Marianne Williamson is to psychologically and spiritually reframe this transition so that it leads to a wonderful sense of joy and awakening. In our ability to rethink our lives lies our greatest power to change them. What we have called "middle age" need not be seen as a turning point toward death. It can be viewed as a magical turning point toward life as we've never known it, if we allow ourselves the power of an independent imagination--thought-forms that don't flow in a perfunctory manner from ancient assumptions merely handed down to us, but rather flower into new archetypal images of a humanity just getting started at 45 or 50. What we've learned by that time, from both our failures as well as our successes, tends to have humbled us into purity. When we were young, we had energy but we were clueless about what to do with it. Today, we have less energy, perhaps, but we have far more understanding of what each breath of life is for. And now at last, we have a destiny to fulfill--not a destiny of a life that's simply over, but rather a destiny of a life that is finally truly lived. Midlife is not a crisis; it's a time of rebirth. It's not a time to accept your death; it's a time to accept your .life--and to finally, truly live it, as you and you alone know deep in your heart it was meant to be lived.